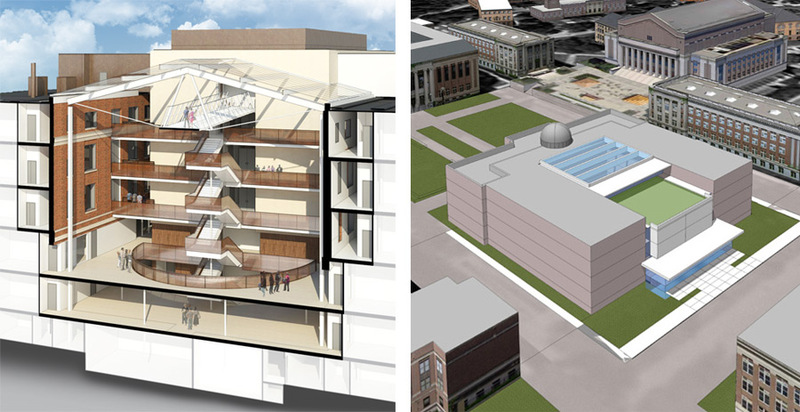 Tate Science and Teaching Renovation is a comprehensive renovation and new addition to Tate Hall on Northrop Mall at the University of Minnesota. 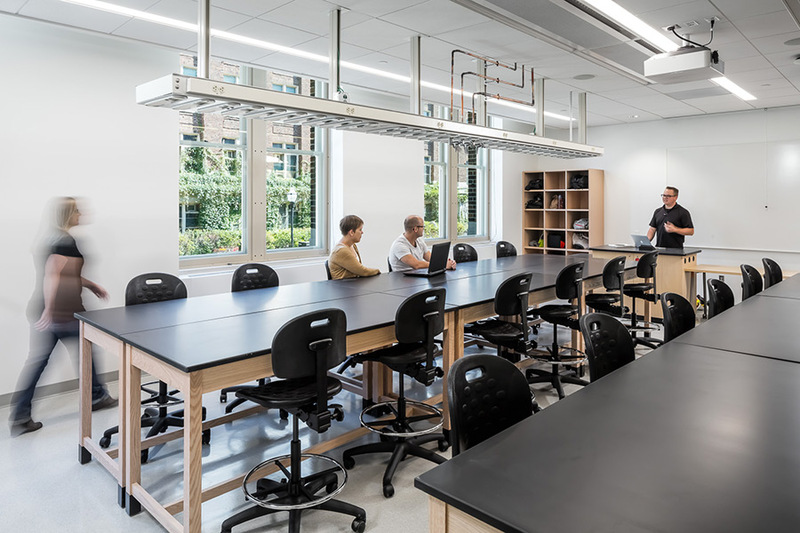 The overall design approach rehabilitates an important historic building on Northrop Mall while creating vibrant and flexible learning spaces for the School of Physics and Astronomy, the Department of Earth Sciences, and general science students. The design rehabilitates the existing U-shaped building into office and laboratory uses. 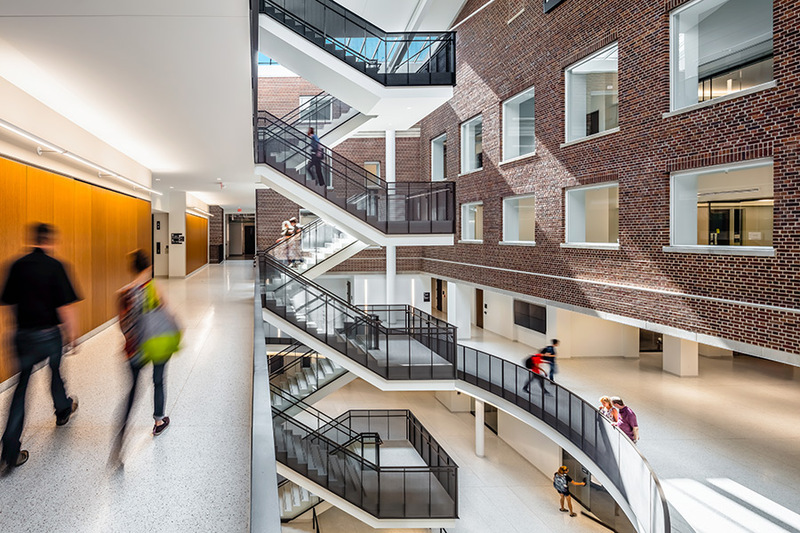 A new addition is inserted into the void of the U-shaped building, connecting the wings of the building and accommodating new learning and office spaces. 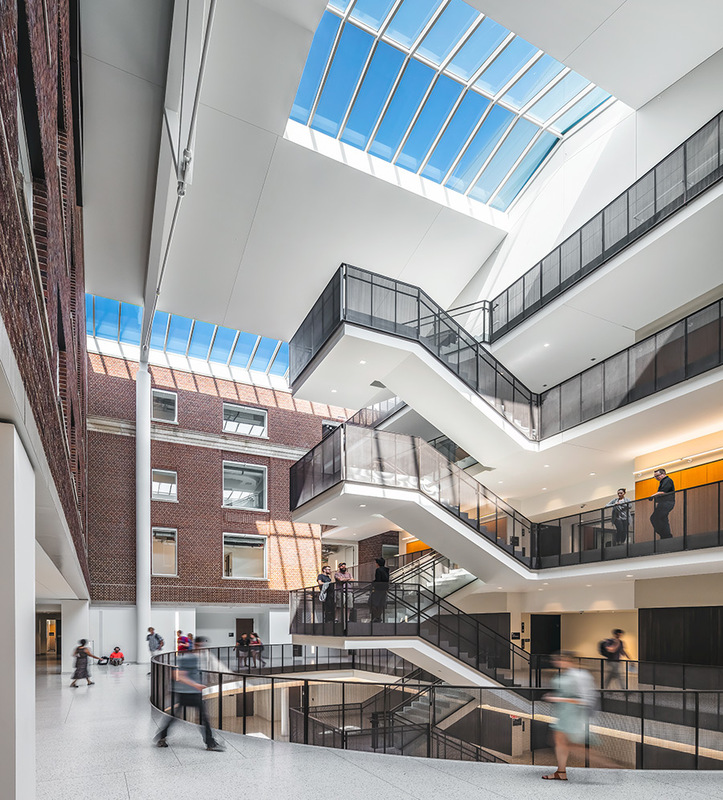 This addition creates a central atrium that brings daylight into the heart of the building, creating spaces for interaction and identity. A new entrance on Church Street enhances access to the building from the east. 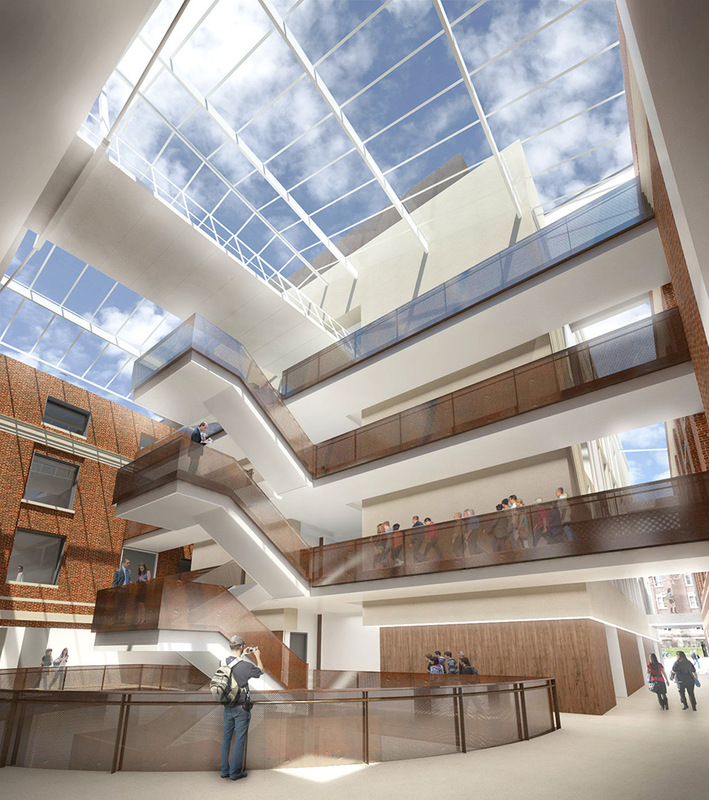 Flexible and technologically advanced learning environments, laboratories, and office spaces are enhanced by the natural daylight that will permeate the building. 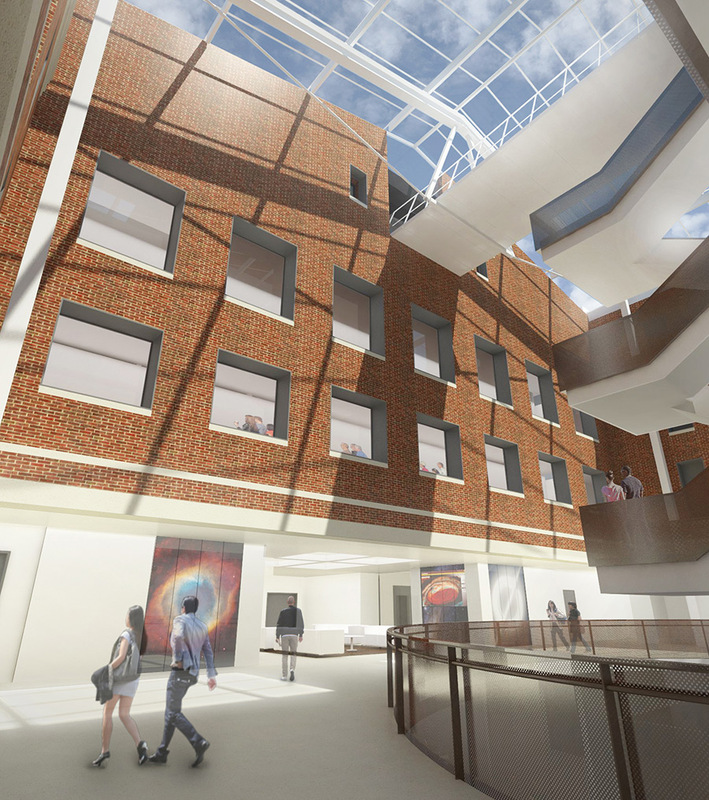 A dramatic bridge crosses the atrium at the upper floor to provide access to the existing observatory located on top of the original building.